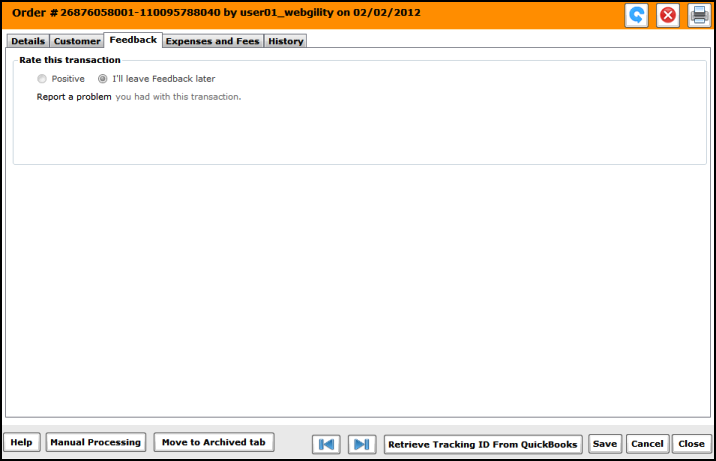 How do I provide eBay feedback from within Unify Desktop? Double click on any eBay order in your Unify Desktop dashboard to open up the order details section. Then click on the feedback tab. This tab can be used to provide feedback when posting the order back to store.